A well known iPhone hacker, Grant Paul aka Chpwn, has already jailbroken the new iPhone 5 that was just released today. He posted a picture of the iPhone 5 running Cydia to his twitter. Don’t get too excited though as a public release is probably weeks away still. They will have to work out all of the bugs, make sure everything works properly and develop software for easy installation. 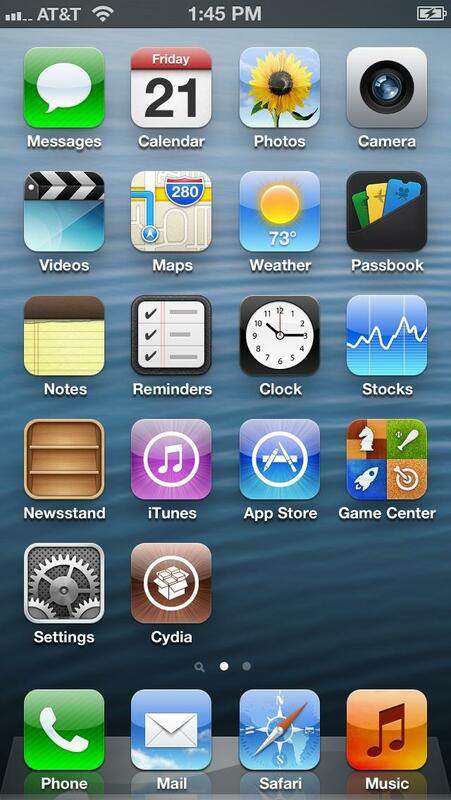 Overall this is great news as this most likely means that all devices will be able to run jailbroken on iOS 6. As we get more info we will post it.